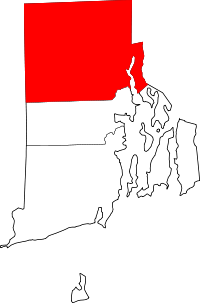 Providence County is one of five administrative areas in Rhode Island with no governmental functions other than as court administrative and sheriff corrections boundaries. Vital records are kept at the city/town level, with copies preserved by the state office of vital records. Birth records are kept in the state office for 100 years, while death records become public after 50. Only persons with "direct and tangible interest" in unsealed records can access them. Contact information for cities and towns can be found at http://www.health.ri.gov/records/about/clerkoffices/index.php. From the state, records cost $20.00, with additional copies costing $15.00 each by check or money order to General Treasurer, State of Rhode Island.